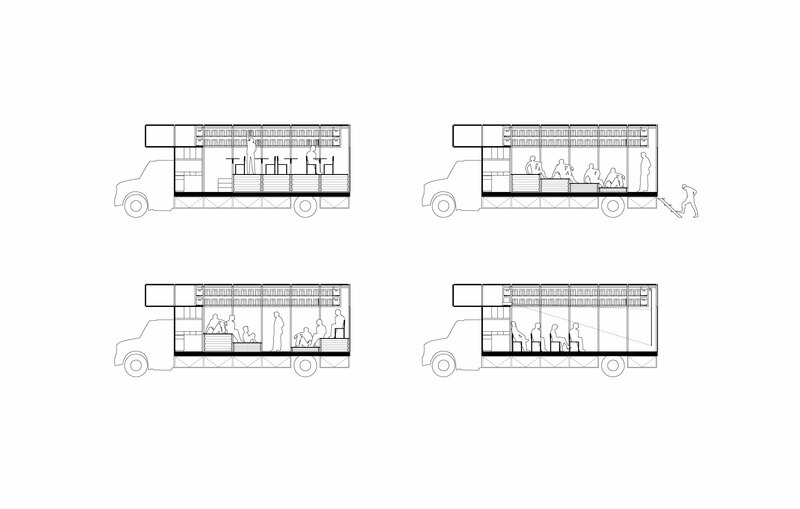 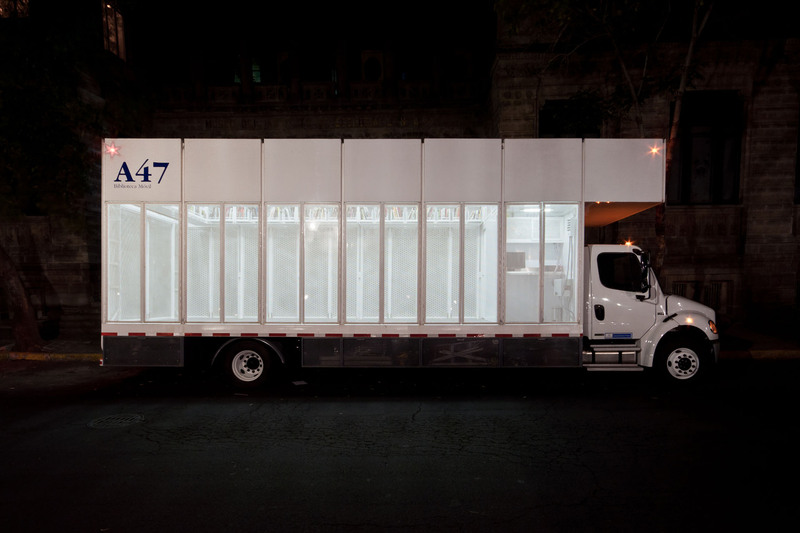 The A47 Mobile Library is a project developed for the Fundación Alumnos47, a civil society organization that brings learning communities together around contemporary artistic practices with a strong emphasis on their large art and artist book collection. 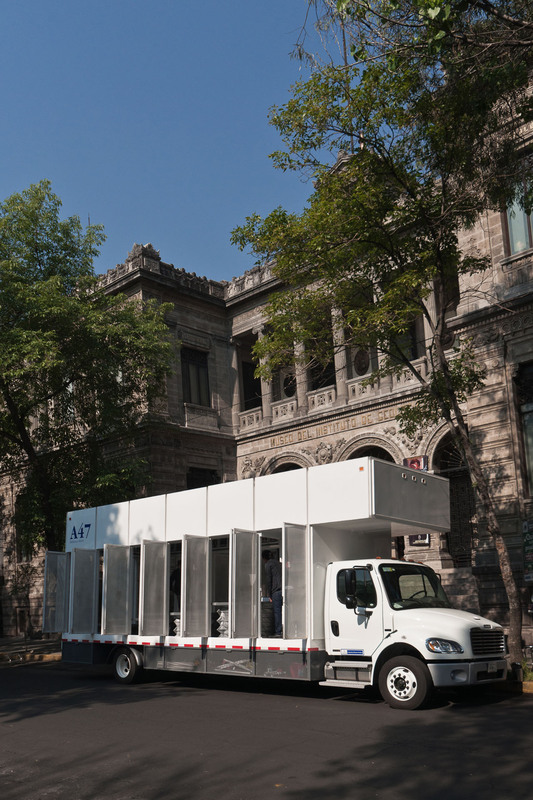 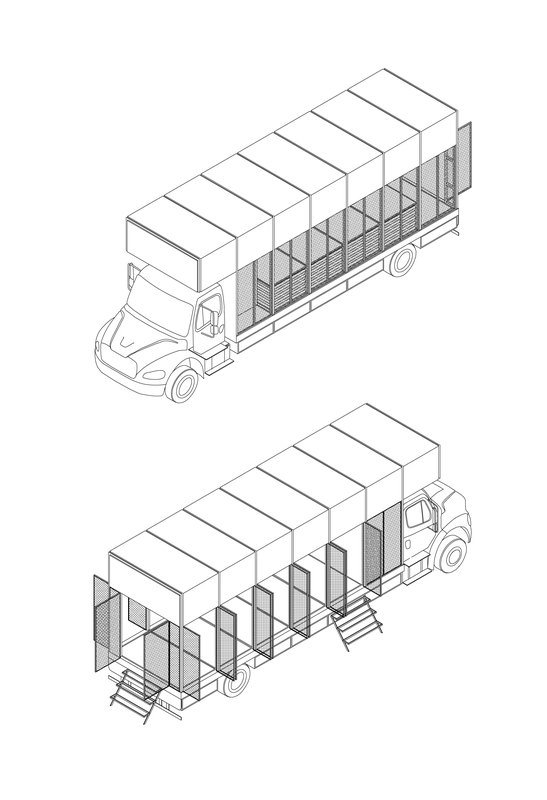 Given that the foundation’s long term project was to build a new building in the forthcoming years, it seemed reasonable to use a mobile unit to activate the existing collection until the building was completed: a 20 square meters cultural center on board a Freightliner M2 20K lorry. 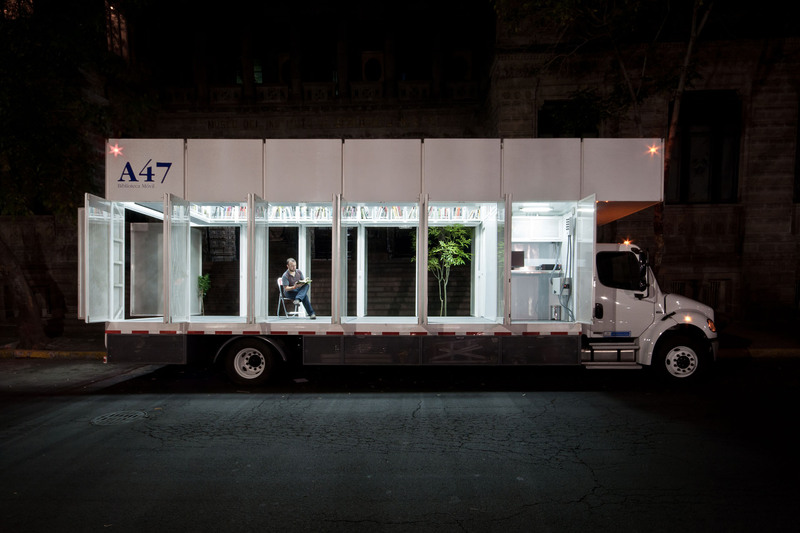 This library however strives to be more than just a library on wheels. 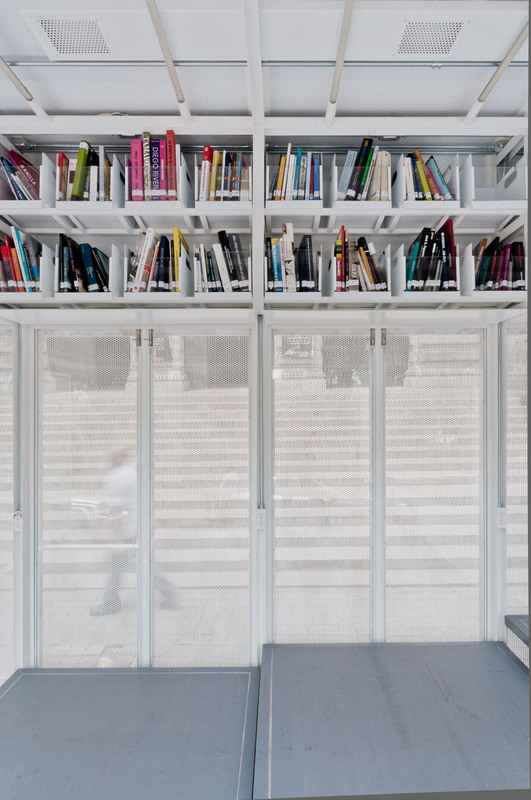 Since traditional arrangements of bookshelves can eliminate spatial flexibility and put up visual barriers, the books were placed at a higher level. 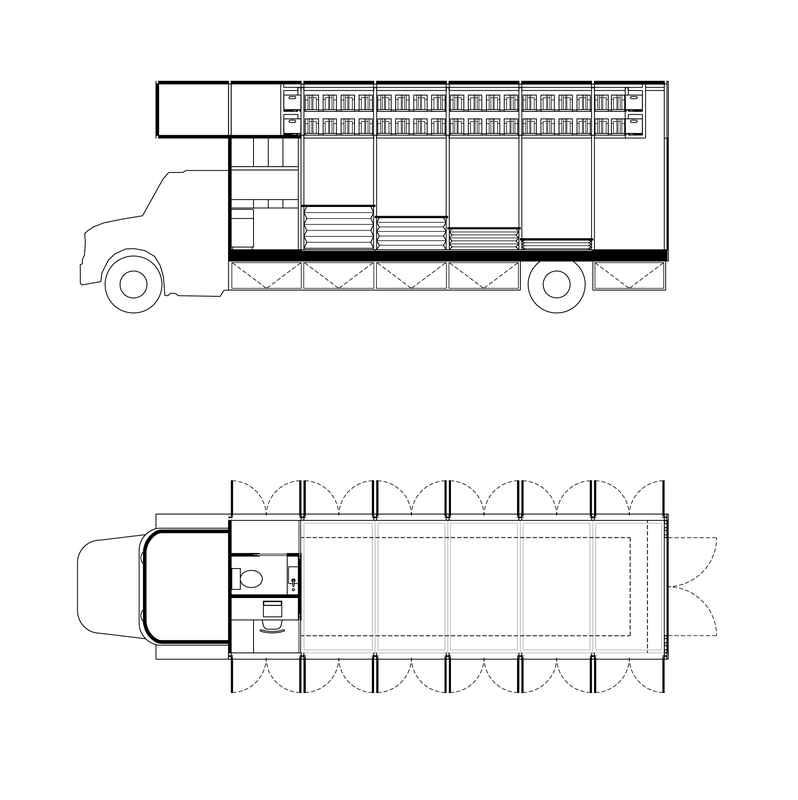 They are sheltered under the opaque roof of the lorry and produce a colorful frieze housing up to 1500 books; a visual element that provides character and significance to the interior space. 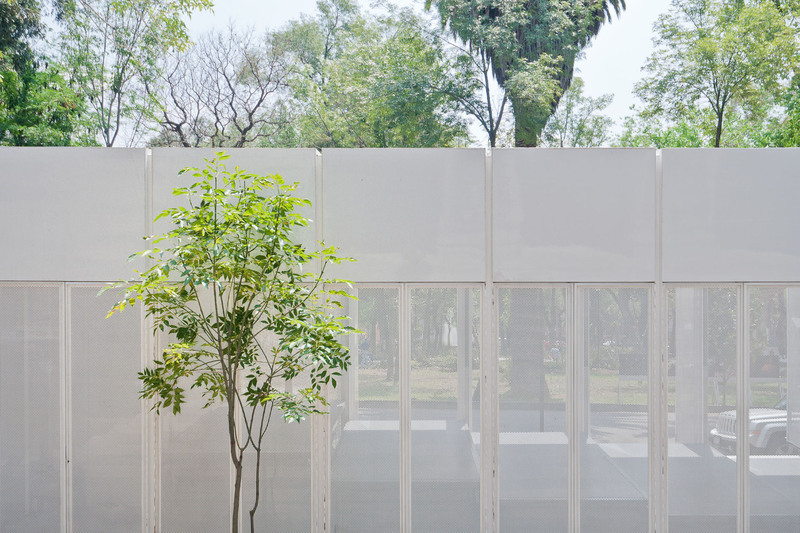 The resulting space is dynamic, transparent and in constant dialogue with the urban context; an open platform that enables different activities to take place in various arrangements for book launches, readings, exhibitions or workshops. 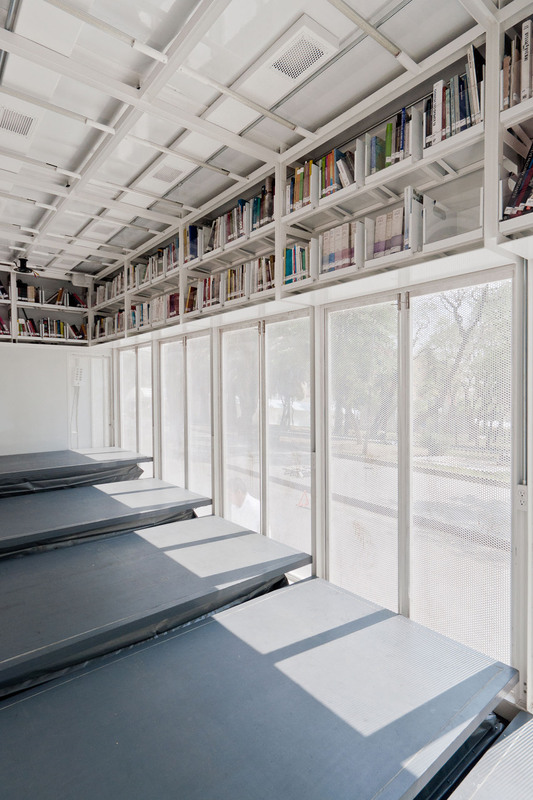 Movable platforms give access to the bookshelves and can be arranged in different configurations, with the books serving as a stage. 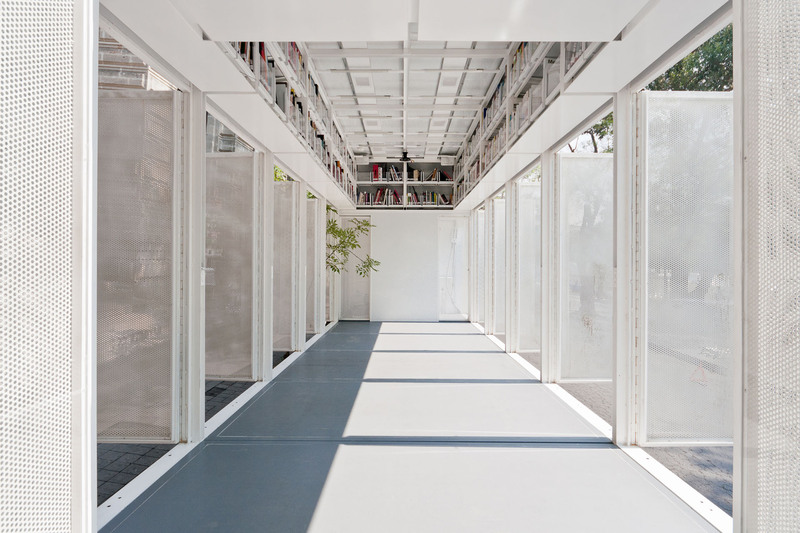 The rhythmic arrangement of 26 doors sets up a dynamic link between interior and exterior, encourage the public to come in, allow flexibility and are a metaphor for the infinite possibilities the library offers. 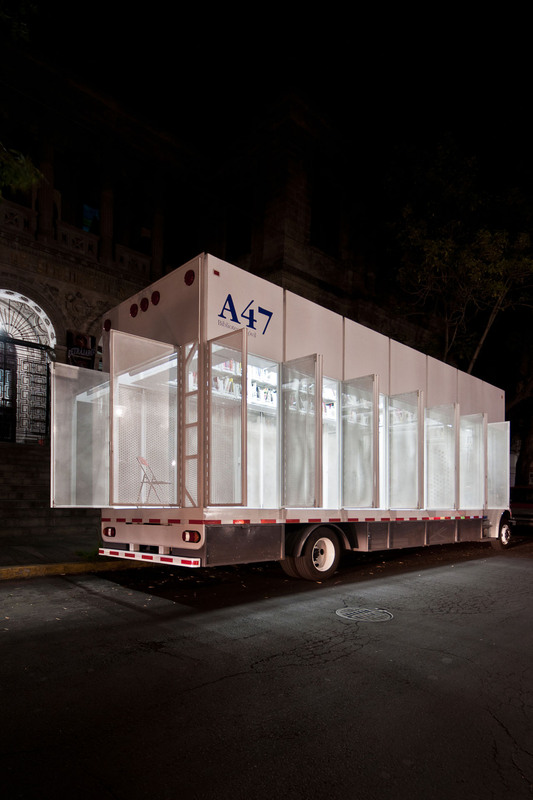 From the outside this mobile library appears to be a light transparent filigree holding up a solid and heavy volume.